With the membership year beginning June 1, 2018, SCAN will no longer maintain a separate Disordered Eating and Eating Disorders (DEED) Subunit. We will integrate management of programming related to disordered eating and eating disorders into the Sports Dietetics-USA and Cardiovascular and Wellness RDs Subunits. This new approach to volunteer roles and program development will encourage better alignment with SCAN’s strategic scope for programming, as defined in 2015. Disordered Eating and Eating Disorder RD's: As a subunit of SCAN, Disordered Eating and Eating Disorders (DEED) has a leadership team, strategic goals and a national network of partners for professionals and patients. Please click here for a list of Frequently Asked Questions related to the dissolution of the DEED Subunit. 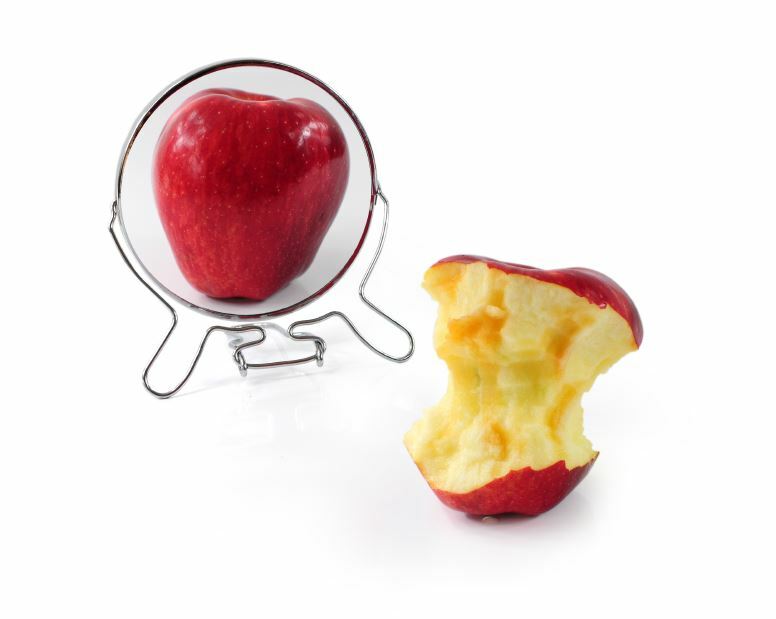 DEED (Disordered Eating and Eating Disorder) is dedicated to promoting nutrition practices that aid in the prevention of harmful eating behaviors, the promotion of recovery from disordered eating and eating disorders, and the development of lifelong healthful attitudes and behaviors related to food, body weight and physical activity. 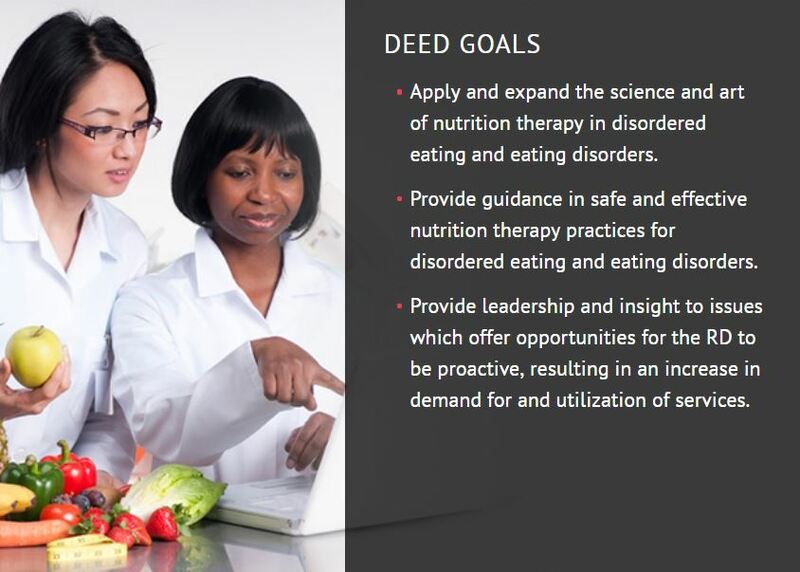 DEED members have a wealth of clinical experience in medical nutrition therapy and serve as a source of science-based information for other allied health professionals, other DEED members, and those we serve. Find resources from professional organizations in the area of disordered eating and eating disorders here.